Ingredients: Aloe Vera, Snail extract filtered (snail slime extract), Argania S. (Argan oil), Cetearyl Alcohol, Glycerin, Tocopheryl Acetate, Sodium Jakronale, Glyceryl Stearate, Cetearyl Glucoside, Peg-10 Hydrogented Coster Oil, Saluble Collogen, Micro Stabil. Cream made of Aloe Vera gel and natural snail slime extract, both recognized as one of the most effective substances for skin care and regeneration. This cream is absolutely the TOP for all women and men who want to take care of their skin, keeping it as young as possible, hydrated and elastic. It is especially indicated for the skin of the face, but it can also be used very well to treat imperfections present in other areas of the body. 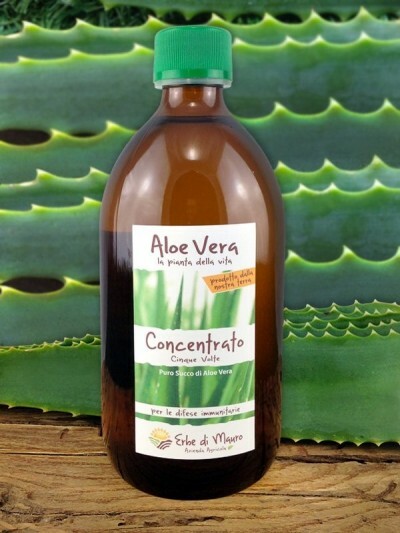 Aloe Vera gel is obtained from our Aloe Vera cultivation, 100% organic cultivation located in the open countryside, in the hills of San Girolamo di Fermo, Italy. Aloe Vera gel is known for its moisturizing, regenerating, anti-reddening, antiseptic, healing and antibacterial action, it increases the production of human fibroblasts, cells responsible for the production of collagen and elastin. Our snail slime comes from a biological type breeder of the province of Fermo, Italy. It is not imported from abroad, or even from another region. The snail slime is used in cosmetics for its great effectiveness in regenerating and repairing skin tissues thanks to the precious substance of which it is composed, such as mucopolysaccharides, glycolic acid, collagen, elastin, numerous vitamins, peptides, etc. The snail slime exerts a deep purifying and exfoliating action on the skin, soothing and protective as well as healing and antibacterial. Finally, this cream contains Argan oil, known for the richness of vitamin E, linoleic acid, Omega 3 and 6 and essential fatty acids that, fighting the action of free radicals and encouraging the production of collagen, contribute to keep the skin young, smooth and hydrated. By regularly applying the snail and aloe vera cream, the skin is deeply renewed and stimulated in its vital functions, with visible effects on skin spots, acne marks, stretch marks, scars, redness and many others. skin imperfections. Apply the cream regularly, morning and evening, or at least once a day, on the affected area and massage until completely absorbed. This procedure will allow you to reach, after just a few weeks, clear results on wrinkles, redness, stretch marks and skin spots. Take a small amount of cream with fingertips and spread it on cheeks, forehead, nose and chin. Then distribute all over your face, starting from cheeks and forehead with a movement from the inside out of the face.